Archbishop Edwin F. O’Brien announced today that Pope Benedict XVI has appointed him Grand Master of the Equestrian Order of the Holy Sepulchre of Jerusalem. 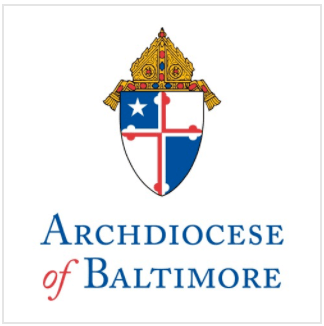 With the announcement of the appointment, the Archbishop immediately ceases serving as Archbishop of Baltimore, a post he’s held since October 1, 2007; however, he will serve as Apostolic Administrator of the Archdiocese until a successor is named. In accepting the new position, Archbishop O’Brien assumes responsibility for the ancient lay Catholic Order whose goal is to promote and defend Christianity in the Holy Land and to support the Latin Patriarchate of Jerusalem. The Archbishop made the announcement earlier today at the Catholic Center in downtown Baltimore in front of more than 200 employees of the Archdiocese’s central services offices, Catholic Charities, the Cathedral Foundation and the Basilica. Archbishop O’Brien succeeds Cardinal John Patrick Foley who resigned in February due to reasons of health. Cardinal Foley held the position since 2007. Archbishop O’Brien said he was unsure how long it will be before his successor is named, but assured those present that the Holy See is aware of the importance of naming a new Archbishop as soon as possible, citing many critical programs underway in the Archdiocese. During his pontificate, Pope Benedict XVI has stressed the urgency of preserving a strong Christian presence in the Holy Land. As Grand Master, Archbishop O’Brien will reside in Vatican City and will make visits to the Holy Land and to the Order’s lieutenancies, which are located throughout the world. The Archbishop has served as Grand Prior of the Mid-Atlantic Lieutenancy of the United States, based in Washington, D.C., since 2010. Members of the Order must be practicing Catholics of good character and be recommended by their local Ordinary, or bishop, with the support of several members of the Order. Today, there are close to 18,000 members of the order who give generously to the Holy See and its institutions, particularly in the Holy Land, where it gives substantial aid to the humanitarian and religious projects of the Patriarch. In 2009, members contributed over $10 million to the Holy Land, providing support for the patriarchal schools there and humanitarian relief. In a statement issued today, Cardinal Foley cited Archbishop O’Brien’s “experience and splendid dedication as priest and archbishop” and said the Archbishop will be “an outstanding leader” of the Order. “I could not be happier that he is my successor,” the Cardinal added. During his tenure as the 15th Archbishop of the nation’s oldest Catholic diocese, Archbishop O’Brien has focused the Church’s ministry in several key areas, including the promotion of vocations, fostering a culture of respect for the dignity of every person, improving the quality of life in Baltimore City, and to help Catholics in the Archdiocese—young, old, and those who may have left the Church—renew and strengthen the bonds of their faith. Archbishop O’Brien has ordained seven new priests for the Archdiocese and over 120 men have entered the program for priestly formation. The Archbishop’s Annual Appeal, a comprehensive fundraising program designed to aid the parishes, schools and charitable programs within the Archdiocese, has generated more than $23 million in pledged donations and is projected to surpass the $30 million mark this year. The Archdiocese has raised and distributed more than $7.5 million in tuition assistance for children in inner city Catholic schools. More than 3,100 new Catholics entered the Catholic Church in the Archdiocese. While many areas of Church life have experienced growth in recent years, Catholic school enrollment continued to decline, a trend that was accelerated by the economic downturn that began in the fall of 2008. To reverse this disturbing trend—one that led to the closing of several Catholic schools in the years prior to his installation as Archbishop of Baltimore–and to head-off the dire consequences that the financial crisis posed for Catholic schools, Archbishop O’Brien initiated an unprecedented review and strategic planning process for the entire school system. These efforts led to the painful but necessary consolidation of a dozen Catholic elementary schools and one high school, as well as the creation of a long-term strategy for strengthening Catholic schools. As well a number of new educational initiatives to help Catholic schools remain competitive were developed, including dual language, Montessori and STEM, with the promise of additional programs to follow. Guided by a blue ribbon committee of educational, community, business and philanthropic leaders, the Archbishop called for the creation of a new Archdiocesan School Board and a new model for school governance that puts the Superintendent of Schools in charge of school leaders and puts priests in charge of the spiritual identity of the school. The critical issue of bridging the affordability gap many families are facing was also a key area of focus for the Archbishop, as he called on every Catholic parish in the Archdiocese to financially support Catholic school education. This resulted in the implementation of an annual special assessment and a special collection for Catholic education, both designed to help fund tuition assistance and other forms of assistance to families and schools. “While the thought of leaving Baltimore—which I have come to think of as a permanent and welcoming home—saddens me, the news underscores the fact that the Church is built and ordered on Christ, alone,” said Archbishop O’Brien.